At Paulson, Dyra & Company CPAs, we guide our clients through a full range of tax planning and preparation decisions with strategies that minimize your tax liabilities, maximize your cash flow and keep you on track to achieving your personal and business goals. Our expertise, experience, analysis and thorough research allows us to optimize opportunities to be found in existing as well as recently altered tax laws. We utilize state-of-the-art tax research software that is constantly updated via the internet so that we are assured to have the most recent tax codes, regulations and interpretations at our fingertips. All of our tax return preparers attend annual tax seminars that address recent developments in the tax rules that govern our profession. In addition, we all work as a team to ensure that the right interpretation of the tax code is used on your tax return. 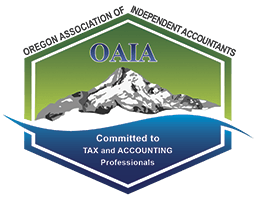 In short, Paulson, Dyra & Company CPAs commits a substantial investment of time and other resources to ensure that we are all knowledgeable and current on the tax laws that impact each and every client we serve. In such a volatile and continuously changing tax environment, you should expect nothing less from your professional tax advisors. For those who may have had contact with the IRS, rest assured, our tax professionals are fully qualified to represent and defend individuals and businesses during any federal and state audits. Professional representation can result in much more favorable results when dealing with tax agencies, so don’t go it alone.